Objective: Comprehensive assessment of the impacts on the Marine environment of RSA, caused due to the massive oil spills and oil well fires during 1990-91 Iraqi invasion of Kuwait. Mt. Mitchell Cruise was conducted in the wake of the large Regional disturbance that occurred during the Iraqi invasion of Kuwait in1990-91. This Cruise was a landmark expedition in many ways and was the first collective effort that gave rise to a series of Cruises later. The 100-days expedition that occurred between February and June 1992 focused the attention of many of the world’s marine scientists on the environmental aftermath of the War. It was an extraordinary undertaking, involving the combined efforts of hundreds of Regional and International researchers in the ROPME Region. 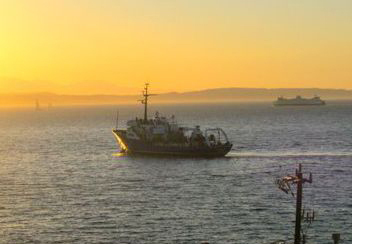 Beside the standard oceanographic investigations, the Cruise involved a broad range of other specific investigations including the assessment of impact of oil spills in off and near shore environments, Regional circulation and sedimentation of spilled oils on coral reefs and seafood quality. It is believed that the all objectives of Mt. Mitchell mission were accomplished. However the full significance of it may not be known for some time. 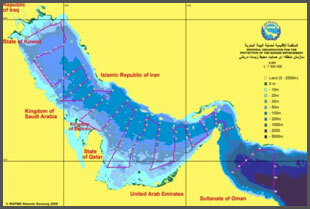 The first findings and scientific results from the expedition had been presented during an international Workshop held in the State of Kuwait in January 1993.The full scientific outcome of this expedition has been published in a special issue of Marine Pollution Bulletin in 1995. One important contribution of the Mt. Mitchell Cruise was the establishment of 106 reference sampling sites, widely distributed in the ROPME Sea Area, which were meticulously followed in all the later Cruises as well.